The Financial Conduct Authority (FCA) recently surprised the investment community with the announcement that it would begin conducting audits of brokers and fund managers to ensure proper compliance with the European Union’s revised Markets in Financial Instruments Directive (MiFID II). There has been a lot of uncertainty since the roll out of the regulations, with the FCA’s lack of clarity on the application of the regulations and its overall silence. The announcement is the regulator’s first signal that it is expecting progress to have been made. When it comes to investment research, MiFID II was designed to increase transparency and boost investors’ trust by forcing asset managers to “unbundle” the cost of research from execution to prevent conflicts of interest. The regulator is concerned over the implementation and interpretation of the rules, but many firms are confused and frustrated by the lack of clarity, particularly as the regulations are inundated with complexity. So, if the FCA announces it will be reviewing your firm, what do you need to have ready? Here are six things fund managers need to prepare when the regulators come knocking. Download our MiFID II compliance checklist to ensure you have the right policies, procedures and documentation in place. The regulator will be very interested to see that there are contracts between buy-side firms and investment banks with evidence of a commercial framework in place. Be sure you are able to show that all services and associated costs incurred are accounted for, including duration of the contract and method of payment of services (i.e. cash paid by the buy side or costs passed onto clients). Where an agreement is not in place with a research provider, any email containing research is considered an “inducement to trade.” Given that fund managers receive thousands of research emails per week, this is a difficult and onerous task to oversee. Buy-side firms need to ensure that they have a mechanism in place to track unsolicited emails and reasonable measures have taken place to communicate a “cease and desist” to offending research providers. One potential solution is an email classification system, a monitoring system from within the email inbox, designed to monitor the real-time flow of email into an organization. The majority of asset managers are still passing research costs to clients, and the FCA will expect clear justification for charges and exactly what costs are being redirected. It’s imperative to be able to call up accurate research budget tracking and reporting. A research valuation methodology must be in place. 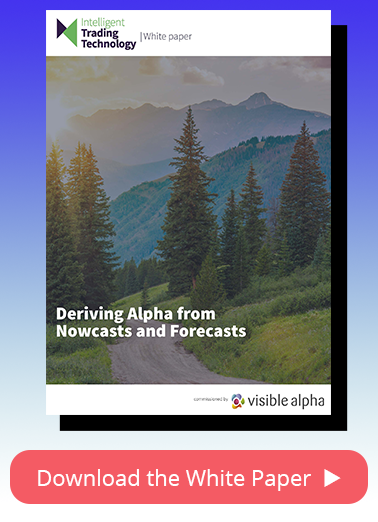 Asset managers may be managing their research consumption data themselves via Excel spreadsheets, building internal systems or through a third-party provider, such Visible Alpha Resource Tracking. Either way, it will be increasingly important important for buy-side firms to confidently demonstrate to the regulator their framework for judging the quality of research, with a data-backed evaluation and a quality overlay. From a sell-side perspective, the popular all-you-can-eat packages (fixed priced bundles of research reports where research usage is not capped) will be ripe for picking over by the regulator. That being said, there remains a lack of certainty in how to price research because investment research is more than just written reports – it includes high-touch interactions, such as phone calls, one-on-one meetings and conferences, none of which have been previously priced or contracted up front. Where costs have been charged for providing research have plunged to lows of $10,000 in some cases, the FCA will determine whether these packages offered err on the side of an inducement to trade. MiFID II requires asset managers to pay for research deemed to be “substantive” but not for information that only provides a “minor non-monetary benefit.” There is a battle between the buy side and sell side over what fits into each bucket. It will be interesting to see how the FCA’s wide-ranging industry probe plays out and how the buy side considers their options in paying for, tracking and valuing consumed investment research. A major concern of global asset managers is that their clients are being treated differently across jurisdictions; such large disparities cannot continue, highlighting MiFID II’s eventual global effect. It may not be until 2019 before the true sting of MiFID II is felt and adequately assessed by all players. Financial News originally posted a version of this story on July 25, 2018, contributed by Emma Margetts, Visible Alpha’s Head of European Operations. Click here to read the story. Download our MiFID II compliance checklist checklist to ensure you have the right policies, procedures and documentation in place.